M. Elise Marubbio, assistant professor of American Indian studies, spent hours in film archives in New York, Washington, and Los Angeles, studying how Native American women were portrayed in Hollywood films. 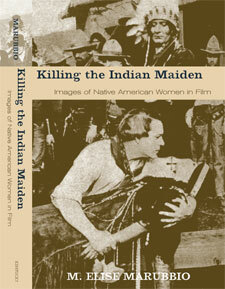 In her book, Killing the Indian Maiden: Images of Native American Women in Film, she analyzes the image that intrigued her the most—that of the young Native woman who falls in love or is connected with a white hero and dies for this choice. Marubbio teaches Native American Women and Film, a course in the American Indian Studies department.